The already fragile economic recovery may be getting weaker. Economists expect the government to report Friday that economic growth slowed in the April-to-June quarter as consumers bought less, builders pulled back further, and cash-hungry state and local governments cut spending. Wall Street analysts surveyed by Thomson Reuters predict the economy expanded at a 2.5 percent pace in the second quarter. If they are right, that would be down from a lackluster 2.7 percent pace in the first three months of the year. And, it would mark the second straight quarter of slowing growth. 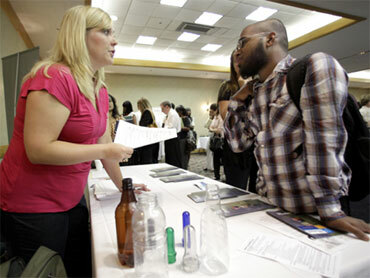 With the economy growing at such a subpar speed, unemployment - now at 9.5 percent - is likely to stay high. It takes about 3 percent growth just to create enough jobs to keep pace with the population increase. Risks to the recovery have grown, and some fear it could stall out. "The recovery looks subpar and risks are growing," said Chris Rupkey, economist at the Bank of Tokyo-Mitsubishi. Businesses are wary, too. Uncertain about the durability of the recovery, they are sitting on record piles of cash, loath to use the money to hire new workers and expand operations. Caterpillar Inc., Dupont Co. and Microsoft Corp. are among companies reporting strong second-quarter earnings in the past two weeks yet they aren't ready to bulk up their work forces. "There is a high degree of uncertainty. There is a recovery underway. It is going to be choppy," said United States Steel Corp. Chairman and CEO John Surma earlier this week. A new AP Economy Survey out this week found that weak consumer spending poses a major risk to the recovery. Consumer spending, which accounts for roughly 70 percent of overall economic activity, clocked in at a 3 percent pace in the first three months of this year. It's expected to be slower in the second quarter. For all of 2011, economists in the AP survey are forecasting only 3 percent growth. That's historically weak for consumer spending during recoveries. By contrast, consumer spending exceeded 5 percent in 1983, 1984 and 1985, when the economy was rebounding from a deep recession. Another major risk: budget woes of state and local governments, according to the AP survey. When states and localities tighten spending by trimming services and jobs, the cutbacks ripple through the broader economy and cause individuals to spend less. Still Rupkey and other economists in the AP survey said they thought the recovery is still alive, suggesting that a double-dip recession can be avoided. The survey found that 55 percent of economists described the recovery as "on track" as of the middle of this year.